Vibrato is – like the canary in the coal mine – a very sensitive indicator of internal, invisible, subterranean conditions. Whereas the canary dies when the level of toxic gases rises in the coal mine, our vibrato may not actually die but – like handwriting – certainly tightens up and/or mutates into something very unpleasant as the tension in our left hand rises. The tension level of our left hand is not only a response to specific strained postures (see Hand Size and Extensions) but also is a reflection of our general tension level – both physical and psychological. Thus our vibrato – like our sound – really is an excellent “canary in the coal mine”, showing, whether we like it or not, a lot of very important information about both our left hand technique, our general body-use, and our inner emotional state. Vibrato is to music like sauce is to food, vegetation to landscape, oil to machines. String music without vibrato is the equivalent of bread without butter, spaghetti without sauce, a barren hard landscape without plants, a machine without lubrication. It is a fundamental source of beauty, warmth, humanity and fluidity in our music making. But, like an electrical appliance (or a motor), if we give it too much voltage, or rev it up too quickly when cold, it will stutter, convulse, short-circuit, seize up, overload, overheat etc. Especially when warming up, or starting a performance while still tense, we must be very careful not to overdo it. Vibrato hates over-trying! Here are some of the best ideas that I’ve found for learning and improving vibrato. We might be tempted to think of vibrato as being “hard work”, requiring effort. In fact, our basic gentle smooth warm vibrato – certainly on longer notes – should represent a release of tension for the left hand. In other words, a gentle low-intensity (slow) vibrato is a way to loosen up the hand and to keep it loose and supple. A “vibrat(o)ing” hand should be less tense than a static unmoving one. This means that it can be a good idea to practice our basic technical work with vibrato, so long as the vibrato that we use is relaxed and low intensity. A fast vibrato requires extra tension and effort, while a wide vibrato muddies the intonation, which is why both these vibratos are inappropriate for technical work. One sure way to make our vibrato horribly tight and tense is to have our hand in a claw-like position, in which the fingers are very tightly curved. This hand posture obliges the area of finger/string contact to be located out towards the fingertips. A much warmer and freer vibrato can be achieved by the “paw” position in which the fingers are flatter to the string (or in other words, less curved). This posture allows us to bring the finger/string contact zone back towards the soft finger pads, rather than out on the hard fingertips (see Tips or Pads?). To achieve this “paw” position we may need to release our thumb from its contact behind the cello neck. We may also find it useful to collapse (block) the last finger joint of whichever finger (or fingers) is playing. In other words, we may want to “lock” the last two finger sections in a straight, rigid line. This gives both strength and stability and can be a useful aid to vibrato, especially when we want it both fast and wide (i.e. very intense). To picture this effect, it might help to imagine that those last two sections of the finger are stuck in the neck of a bottle. The differences between “claw” and “paw” vibratos become even more pronounced in doublestops. Experiment with vibrato on the following chord, using the two different hand postures. Keep the fingers as close together as possible. Keeping the hand compact, with the fingers bunched up around each other, gives a very stable, warm, secure, vibrato. Some cellists actually put the neighboring finger on top of the vibrating finger to give these extra qualities (look at videos of Stephen Isserlis – now that is a beautiful vibrato)! This is especially important for the little finger as it is a lot weaker than the other fingers. On long expressive notes it really needs the support of the third finger squeezed right up next to it, like a splint or a brace. 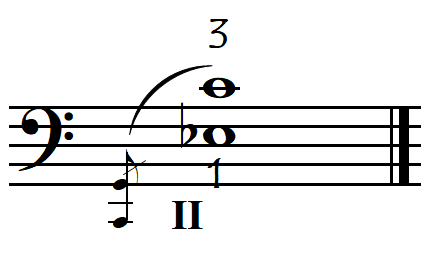 In the following repertoire example, all of the long expressive notes of the main theme require the fourth finger. It may also help – for all the fingers this time – to tip our hand “backwards” so that the fingers are leaning backwards on the fingerboard (thus with the tips pointing a little towards the bridge). In this position, our palm is slightly inclined away from our body, making the hand slightly more horizontal in relation to the ground. This hand posture actually adds another very productive, comfortable and natural axis to the vibrato movement (along the line of natural flexibility of the finger and knuckle joints). It also centers the weight of the hand more over the first and second fingers, giving these fingers at least, greater stability. VIBRATO SPEED AND INTENSITY: SLOW AND LOOSE, OR FAST AND ELECTRIC? It is preferable to have as our default setting, a sleepy vibrato and a bright-eyed canary than an electrified vibrato and a sleepy canary. A beautiful, warm, relaxed vibrato is an infallible indicator of good relaxed body-use and should be the goal we pursue as our foundation-vibrato, our healthy home base. As in so many aspects of life, it is easier to add tension than to reduce it, easier to accelerate than to slow down, and too much is often more harmful than too little. We can make the best of the slow “boring stuff” we sometimes have to play, by using these moments as an opportunity to concentrate on making our vibrato as easy, relaxed and comfortable as possible. A very fast, electric, intense vibrato is wonderful at times, especially in performance, but can be emotionally (and physically) exhausting if maintained constantly, not only for the player, during our hours of practice time, but also even for our listeners in a concert. Some music however does really need that fast intense electric vibrato. Italians are, on the whole, anything but floppy. Their pasta is “al dente”, their pizzas are crisp, and their language also. Italian Romantic music loses a lot if we play it with a slow laid-back vibrato. The arias of Puccini are classic examples of this phenomenon. If we want to slow down our vibrato, then we probably shouldn’t play Puccini arias, but if we want to speed up our vibrato this is the perfect music to play. French Romantic and Impressionist music requires a similar fast vibrato but Puccini is better for learning it. This is because the vocal lines in his arias are almost always slow, thus allowing us lots of time to concentrate on that fast vibrato on each note. It is more difficult to work on vibrato in music with frequent note changes because these tend to make our vibrato get tense (see Continuous Vibrato below). Daniil Shafran (1923 -1997), one of the most extraordinary and intensely emotional cellists of all time, went to Pierre Fournier (one of the warmest and most elegant cellists of all time) for advice as to how to slow his vibrato down, but was unable to do so, despite his best efforts. Perhaps he should have gone to a more phlegmatic German, British or Scandinavian cellist for advice! His high-voltage vibrato sounds truly amazing in highly-charged music – Russian, French and Italian – but in Bach it sounds inappropriate (but still amazing). To slow our vibrato down we can choose to play more Baroque, Jazz, Pop, Lieder (and Germanic music in general). Normally these styles are suited to a more relaxed, less highly-charged approach. We could also take up the piano, harpsichord organ or bagpipes, none of which can do vibrato! It is curious that Shafran’s vibrato and Shostakovich’s music share the same extraordinary emotional intensity. Both were born in Leningrad (St Petersburg); Shostakovitch in 1906 (shortly before the Russian revolution) and Shafran in 1923 (shortly after the revolution). Stalin’s “Rein of Terror” started in the early 1930’s and basically never stopped. Could it be that their shared extreme emotional intensity was the product of their terrorized, traumatized and destructured society. In spite of Shafran’s experience, I am convinced that we can be the masters of our vibrato, rather than our vibrato being an untouchable, immovable product of our personality, genetic makeup or society. We don’t need to be a traumatised victim of totalitarian terror in order to have a hyper-intense vibrato, nor do we need to be french in order to have a fast, narrow, stop-start shimmer, or italian to have a permanent bird-song, or german to have a powerful Mercedes purr etc …….. but it certainly might help! What’s more, there need be no contradiction between the concept of “loose and relaxed” and the concept of “control”. On the contrary, being able to have both a loose-relaxed vibrato and an electric-intense-exciting vibrato on demand is the ultimate goal of “control” in so far as vibrato is concerned. We can usefully work on our vibrato in a rhythmical, consciously controlled way, by practicing it as a metronomically subdivided trill. We will gradually increase the frequency (= trilling speed) by rhythmic subdivisions rather than by changing the metronome speed. In other words, we will start with semiquavers, then progress to semiquaver triplets, then semidemiquavers, then semidemiquaver triplets etc. Rather than just “wobbling” the hand, the fact of doing an actual trill – tapping the higher finger gently on the same (or on a neighbouring) string – makes the regularity of the rhythmic oscillations more obvious. We can play around with both the speed and amplitude of the oscillations. The trilling (tapping) finger taps on the beat in the same way that in vibrato it is the upwards impulse that coincides with the beat. It is important for this exercise that the trill uses the rotation/oscillation movement of the whole hand and forearm (the same movement as vibrato). It must not be not simply a “finger articulation trill”. There are many similarities between trills and vibrato. This type of rhythmic exercise is equally useful for working on our trills as it is for our vibrato (see Trills). It is very important to not let our vibrato stop too early before the note ends. Thinking about and preparing the next note can easily cause us to stop giving attention to the note we are actually still playing, and thus we may stop vibrating on it without even realising (until we see a video of our playing). This involuntary vibrato-stop can happen before a new left-hand movement such as shift or the putting down of a new finger but even a simple bow change and/or string crossing can cause our vibrato to stop, even when we are continuing with the same note (and finger) after the bow change. A characteristic of beautiful playing – especially in romantic and melodic music – is the connecting of the notes to make long, smooth, vocal, legato, singing phrases. We achieve this not just by using bow legato and left-hand glissandi, but also by maintaining our vibrato as uninterruptedly as the music wants. Being able to maintain our vibrato smoothly over bow, finger and position changes shows that we are truly at ease. Enrico Dindo also talks about the need to vibrate not just on the notes, but also between the notes. Chromatic scalic improvisations can be used to make exercises to develop this skill. The use of chromaticism means that the changes from one finger to the next are always small, which creates a minimum of disturbance to the hand’s centre of gravity, thus favouring a constant vibrato. It is not just the placement of other fingers that disrupts our vibrato. Shifting also has the same effect. Try maintaining a smooth continuous vibrato in the following exercise in spite of the constant potentially disruptive movements in both hands. Try and make these movements the least disruptive possible. Any scale, arpeggio or musical passage can be practiced like this (i.e slowly but with several bowstrokes on each note) to work on our continuous vibrato. When we play without vibrato, loudly with a heavy, slow bow close to the bridge, the sound will seem harsh, cold, nasal. Surprisingly – and mysteriously – the secret to warming it up is quite simply to add a little vibrato. Without doing anything different with the bow, just by adding vibrato the sound suddenly becomes warm and rich! The closer our bow is to the bridge, the greater the need for vibrato. But there is another important relationship between vibrato and bow pressure/speed: a fast light bow played “sul tasto” (over the fingerboard) normally wants a faster and narrower vibrato. Conversely, the greater the bow pressure and the slower the bow speed (and the closer the bow is to the bridge), the slower and wider our vibrato will normally want to be. Try it! “Senza vibrato” is a powerful expressive device used almost exclusively in very soft passages (playing loudly with no vibrato is just plain ugly). It simulates (represents, portrays) death, exhaustion, capitulation, horror, terror etc and anything else that makes our blood run cold. It gives to the “with vibrato” passages that follow it, an enormous sensation of relief, of rebirth, salvation, joy, the sun coming out etc. THUMB VIBRATO: For a discussion of vibrato on the thumb, go to the specific Thumb Position page. Vibrato can “muddy” the intonation of our double-stops so we need to be careful not to try too hard to vibrate wildly on them, even in very romantic expressive music. This is fortunate, as many double-stops create additional tension for the left hand ……. and we know that forcing our vibrato onto a tense hand usually gives the opposite effect to the musical warmth that our vibrato is supposed to create!! Often the best effect can be achieved by vibratoing only at the end of each double-stop, by which time we are only playing with the bow on one string (usually the higher string). The lower note continues resonating on its own (or in the listener’s imagination) and we only vibrate on one note of the doublestop (usually the top note).